I was lucky enough to spend a few weeks in New Orleans in 2005, and absolutely fell in love with the food. 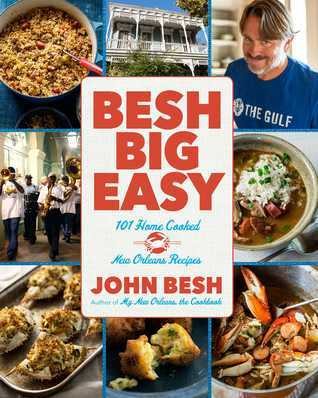 Besh's book is packed with photos so fabulous you can almost smell the food wafting off the pages, and fun quips sprinkled throughout the recipes. One of the biggest draws for Besh Big Easy is the fact that Besh incorporates quite a few simple substitutions for those of us who don't live in the South and have ready access to some of the more 'unique' ingredients. Further, I loved that the recipes, while sometimes complicated in appearance, are really easy to follow. So far, I've only made the red beans and rice; but that was a huge success on my night to cook the family meal. I definitely look forward to trying out some more of Besh's recipes, with a similar success rate. -Digital ARC provided by NetGalley, in exchange for a review.